A founding member and Fellow of the American College of Lifestyle Medicine, Michael Greger, M.D. is a physician, New York Times bestselling author, and internationally recognized speaker on nutrition, food safety, and public health issues. He has lectured at the Conference on World Affairs, testified before Congress, and was invited as an expert witness in the defense of Oprah Winfrey in the infamous “meat defamation” trial. He is a graduate of Cornell University School of Agriculture and Tufts University School of Medicine. 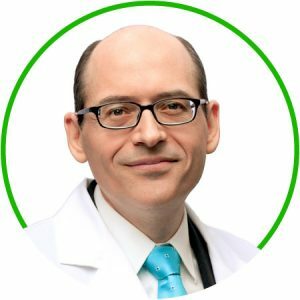 Currently Dr. Greger serves as the Director of Public Health and Animal Agriculture at The Humane Society of the United States. His latest book, How Not to Die, became an instant New York Times best seller. More than a thousand of his nutrition videos are freely available at NutritionFacts.org, with new videos and articles uploaded every day. Ask the Doctor: Q&A Session with Michael Greger, M.D. Spend an intimate afternoon with plant-based guru Dr. Michael Greger. Now that you have a wealth of new information regarding the benefits of the plant-based lifestyle, you must have many important nutritional questions. Get the answers from one of the world’s foremost authorities on the details of vegan nutrition.